Dr Hantao Liu and Dr Jeffrey Xiao both graduated from Griffith University at the Gold Coast and have always striven to achieve a comfortable relaxed and friendly dental experience with all their patients. We are very family driven and truly want to make our patients feel part of the family! After graduating Dr Liu and Dr Xiao both worked together in rural Queensland as a husband and wife duo for many years and then branched off into local private practices in Brisbane before reuniting once more dentally with their own dental practice, Dental Greetings. With years of experience behind each dentist with Dr Liu being a Certified Provider of Invisalign, her friendly, charismatic and compassionate nature has resulted in multiple patients commenting that she cured their dental phobia! 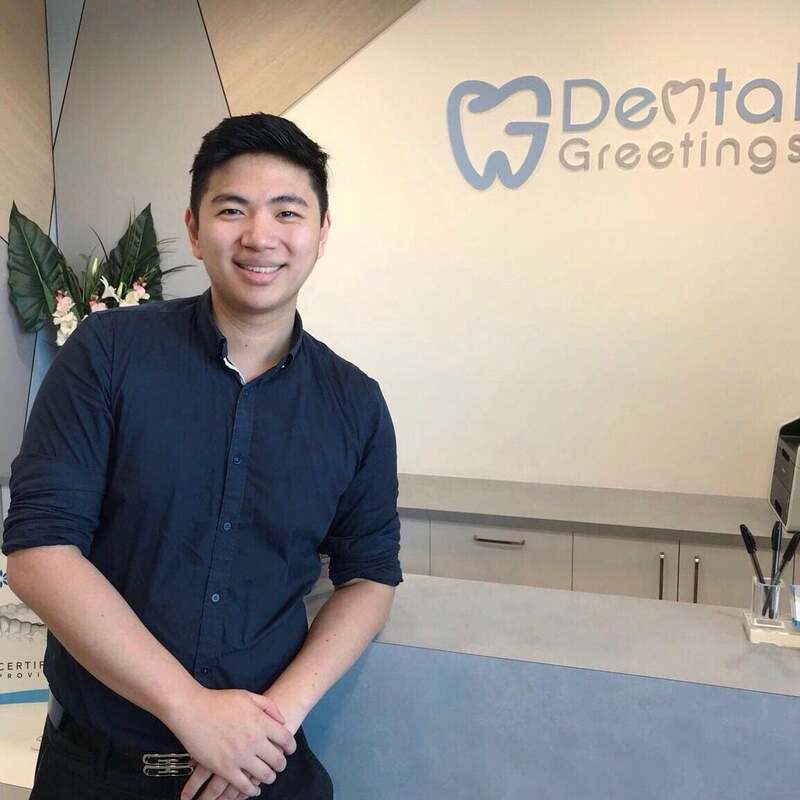 And Dr Xiao being a third generation dentist (his dad AND grandma were all dentist),loves all aspects of being a dentist with a strong interest in cosmetic and restorative dentistry and prides himself on patient satisfaction, you know you will be looked after here at Dental Greetings. Dr Hantao moved to Gold Coast from New Zealand 11 years ago to start her career in dentistry, where she fell in love with Queensland and decided to stay in the beautiful sunshine state. She’s worked in several locations including Gympie, East Brisbane, and South West of Brisbane. 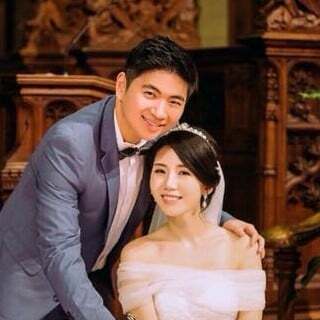 After getting married, Dr Jeffrey has managed to successfully persuade Dr Hantao to move to where he grew up – North side of Brisbane as he always had the wish to go back and serve the community. 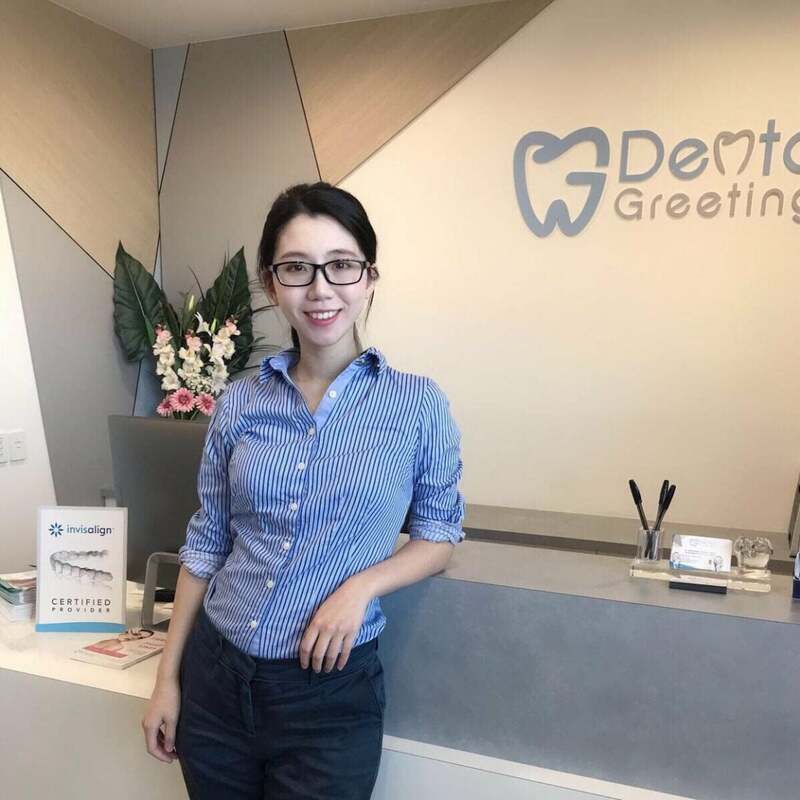 With Dr Hantao’s extensive experience in patient-care in both public and private sectors, together with her charismatic personality, her naturally infectious smile and her gentle touch, she often gets compliments of curing people’s dental phobia! She is always well loved by her patients including both children and adults. So, if you fear the dentists, or if your child is seeing the dentist for the first time, you will not regret to see her! Dr Hantao puts a lot of emphasis on preventative dentistry, so you may find her often talking about the importance of flossing and proper brushing especially to the kids! That’s because she had some dental issues when she was little, and she wants to try her best to prevent that happening in the next generation. Although she loves all general dentistry, she has extensive interest in paediatric dentistry, minor oral surgery, and cosmetic dentistry including veneers, Invisalign and cosmetic injectables (anti-wrinkle injections and dermal fillers). She strongly believes a beautiful smile starts with teeth but can be perfected with other parts of the face. Outside of work, Dr Hantao spends a lot of time with her young family including 2 puppies! She has a great interest in fashion; she plays piano for church on some Sundays, loves drawing and constantly chases after new movies! Oh and, although she looks small, but don’t get fooled by her appearance – she has reached black belt in Taekwondo! Some people call her the Superhero Dentist! Dr Jeffrey grew up and lived in Boondall since he was 5, until he moved to Gold Coast to study Dentistry straight after high school. As you can imagine, he is extremely familiar with the surrounding suburbs in North Brisbane and he always had the dream to come back and serve the community which served him so well for the past 25 years. He is a third-generation dentist, with his grandma being an endodontist, father being a periodontist (now a professor) and his mother a dental technician, he truly grew up in a dental family. As a result he always knew he wanted to become a dentist since the age of 3 sitting in his dads dental chair pretending to do check ups on his dad. Dr Jeffrey has extensive knowledge and passion in several aspects of dentistry. This includes prosthodontics (veneers, crowns and bridge work), endodontics (root canal treatment), oral surgery and implantology. He loves helping his fellow colleagues as well as taking on their difficult cases. He regularly attends furthering education courses to pursue his thirst for knowledge. With his father being a well-known professor in the dental research field, Dr Jeffrey often gets involved with the latest advancement in dentistry and technological advancements. He will only use the best equipment and materials for his patients. Dr Jeffrey is known for his humorous and down-to-earth personality, with his thoroughness and gentle nature, his patients always feel relaxed and comfortable with him. He loves to spend time to explain and answer any patients concerns – to him, no question is ever too small, he’s always there to help! Being a very family-oriented man, Dr Jeffrey loves cooking (although he hates the dishes!) and one of his favourite things to do is having a cosy night with his little family in front of the TV or playing board games. He also enjoys a good game of tennis and taking the doggies on a hike.